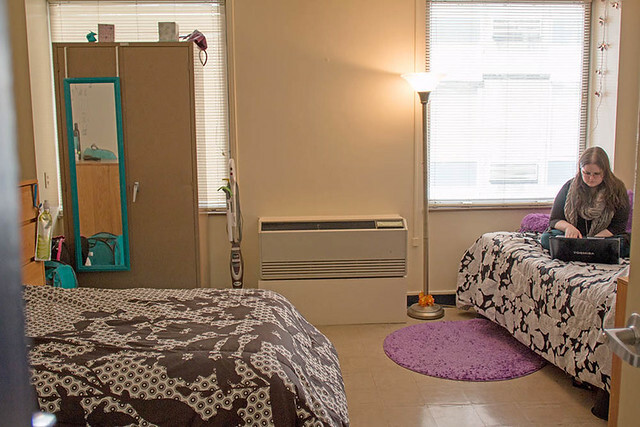 First-year students in the Honors Program have the unique opportunity to live on the Honors Program floor in Thayer Hall. The Honors Program floor is a living and learning space that allows high-achieving students to build a sense of community and transition smoothly to campus life. Plan community and service-learning projects with an Honors Program mentor. Represent the Honors Program floor on the Honors Student Organization executive board. Participate in special programming and events. Priority registration and reduction in fees for trips, including a visit to the Flight 93 National Memorial, and an Alternative Spring Break trip. Attend an Honors Program early move-in and Introduction to Honors event held at the end of August. Participate in a minimum of four Honors Program experiences/activities during the academic year. All incoming Honors Program students are eligible for the Honors Program floor. Interested students should indicate their preference for the floor when filling out the freshmen housing and meal plan contract.